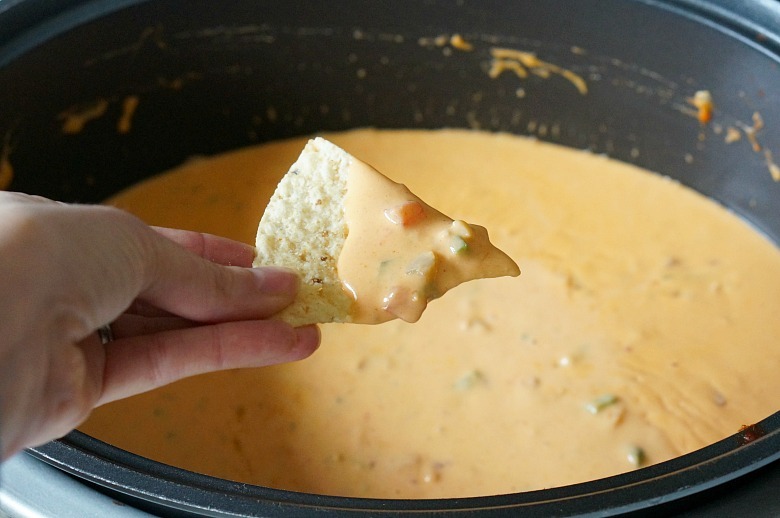 Slow Cooker Spicy Beer Queso is my answer to game time food. Perfect for a crowd, easy to make, and totally worth blowing off your new year resolutions! Ready for some football?? I’m lovin’ my lazy Sundays cheering my team on and eating some serious game time grub. And, although I’ve committed to eating tons of veggies and good-for-me foods this year, all bets are OFF when the big game is on! I’m keeping my fingers crossed that my home team keeps playing well this season, but let’s be honest… no matter who’s playing in the big game, I’ll be watching! Any excuse to have friends and family over. Plus, it’s the only time of year I get excited to watch the commercials. I’ll be stocking up on game time grub at my local Publix. And, I’ll be sure to visit www.GetTheSavings.com/GameDay starting on January 20th for $24 in savings from my favorite brands. 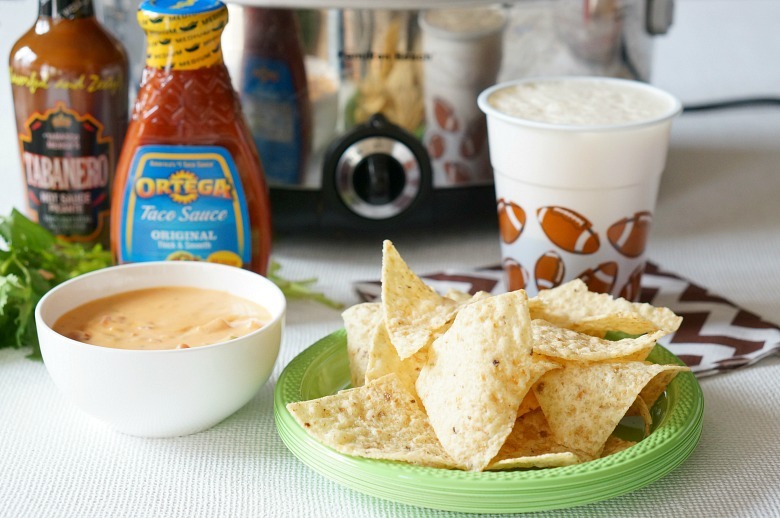 My Slow Cooker Spicy Beer Queso takes advantage of the great savings by including Ortega Taco Sauce, Sargento® Snack Bites®, and Tabanero All Natural & Gluten Free HOT SAUCE. Like you needed an excuse to make Slow Cooker Spicy Beer Queso!! Slow Cooker. Spicy. Beer. Queso. I think those just might be my favorite words! 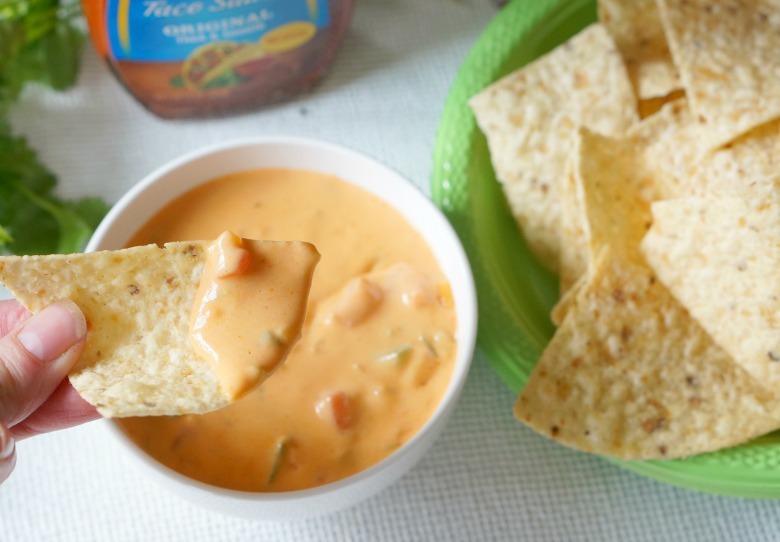 You can use this delicious queso as a dip with chips, but it’s just fabulous drizzled over burgers, french fries and tater tots, or if you must…. with veggies. 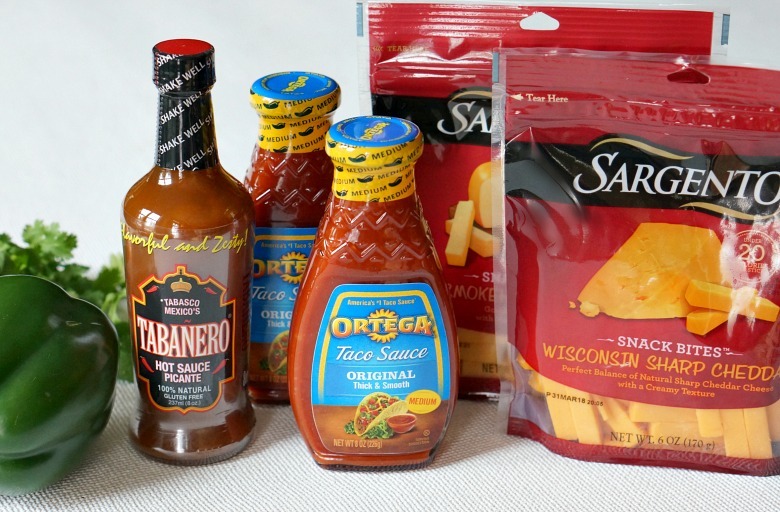 Mix and match your favorite cheeses in this recipe – I used Sargento Snack Bites in Wisconsin Sharp Cheddar and Smokehouse Gouda (because they were on sale AND the perfect size), but any combo will most likely be delicious. As for the beer? Pick your favorite. Because we’re adding the beer in towards the end, the flavor is strong. I love a pale ale, so that’s what I use. 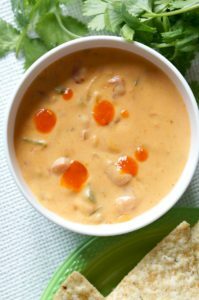 Finally, I prefer to make this recipe on the stove top, then transfer to a slow cooker to keep warm throughout the game. If you want to cook this in the slow cooker, feel free! You can skip the sautéing of the veggies, and just add the veggies along with the cheese to the slow cooker. Cook on low until melted and smooth, then add the beer. Preheat a large Dutch oven (or slow cooker insert, if yours is stove-top approved) to medium high heat. 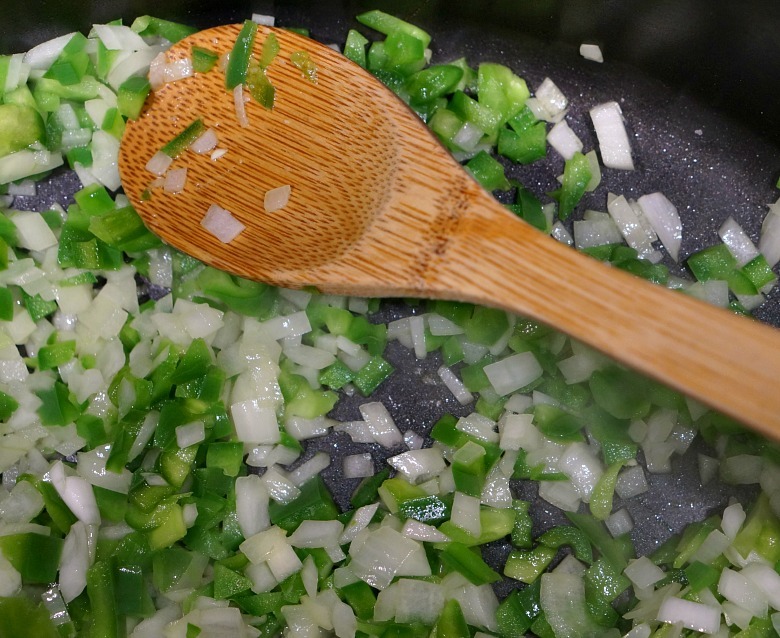 Coat with cooking spray and add in the bell pepper and onion. Sauté for 3-4 minutes, until softened. Add in the cheese, cream cheese, taco sauce, diced tomatoes, hot sauce, and salt and pepper to taste. Cook over medium heat until melted and smooth. The mixture will be thick. Pour in 1/2 cup to 1 cup of beer, depending on how thick you want the queso to be. Use as little or as much as you like! Stir until warmed through and well mixed. 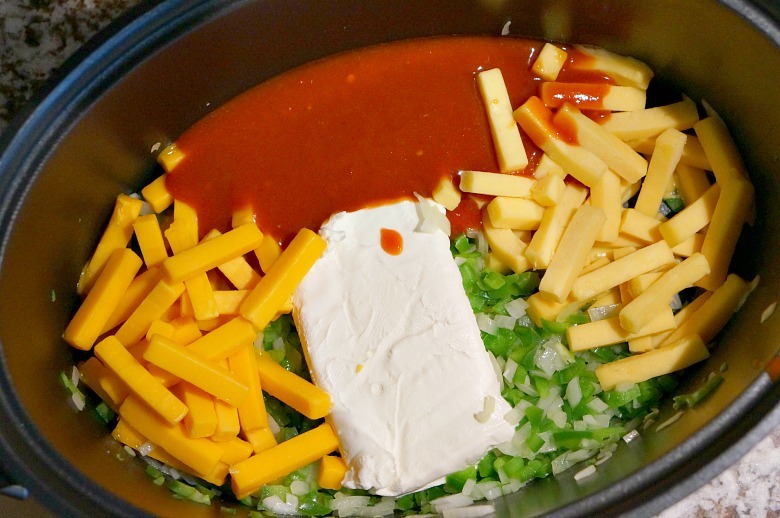 Transfer the queso to the slow cooker on the warm setting. Getting ready for the big game? Plan Publix shopping list and save big by visiting here, first! Need some more game time food inspiration? Feed a crowd with our Oven Roasted Pulled Pork recipe (with queso drizzled on top, of course!). And everyone loves our Greek Seven Layer Dip!